After winning the hearts of fuel efficient and powerful diesel engine sedan car lovers with Honda Amaze sedan, the country's leading automobile firm Honda has enhanced the variant’s choice for its entry level hatchback Honda Brio enthusiasts. 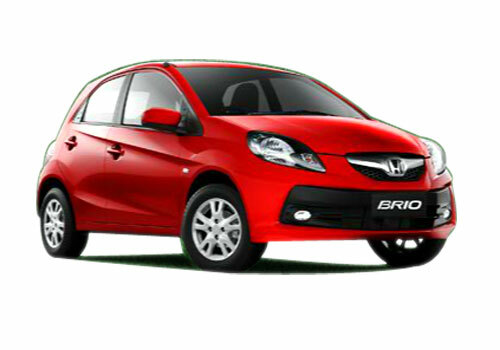 The 100 per cent subsidiary of Japanese auto firm Honda Motor Cop., has launched the Honda Brio VX MT and Honda Brio VX AT variants. The VX MT variant of the vehicle comes mated to a 5 speed manual transmission while the VX AT variant has been mated to 5 speed automatic transmission system. The company has also enhanced the features of these new launched variants of the entry level hatchback including already available V MT variant. Now all these three variants come equipped with enhanced features of Driver Seat Height Adjuster and Rear Window Defogger. Honda Brio VX MT is priced at Rs 5.34 lakh while the VX AT has been offered at Rs 6.12 lakh (Ex-showroom Delhi). The new features equipped V MT variant of the vehicle is now available at Rs 5.06 lakh (Ex-showroom Delhi). Honda Brio was launched in India two year ago, and in late last year the beast was offered with automatic transmission system choice. All the variants of the vehicle are loaded with a superior 1.2L i-VTEC, 1197cc petrol engine which produces max power of 88 PS along with peak torque of 109 Nm. Its high-end version offers dual SRS airbags and ABS with EBD as standard. In terms of features, specs and pricing the Brio hatchback is a tough competitor of Maruti Ritz, Nissan Micra, Hyundai i10 and Ford Figo in domestic market.